Pictured: An artists impression of the Queen's Wharf development. The integrated resort development, expected to open in 2022, will "transform the CBD and river's edge" with a diverse mix of new riverfront space; high quality dining options to suit every taste and budget; exciting nightlife and entertainment; local and international retail brands; and world-class five and six-star hotels. Destination Brisbane Consortium is delivering the $3.6 billion development. Related reading: Queen's Wharf will "mature our city"
Cottee Parker Architects have revealed to WILLIAMS MEDIA their plans for the integrated resort development, "encompassing architecture of all the new buildings within the development including four towers joined together by the iconic Sky Deck, all sitting on top of a seven-storey podium". "The towers will accommodate four hotel brands including the 6-star Rosewood, the Dorsett and the Star Grand, along with residential apartments. The podium will be a vibrant and exciting destination that will offer a multitude of restaurants, bars, cafes, dining and retail alongside a casino and a 1,000-seat Ballroom and function space," Director of Cottee Parker Architects, Naveen Dath told WILLIAMS MEDIA. 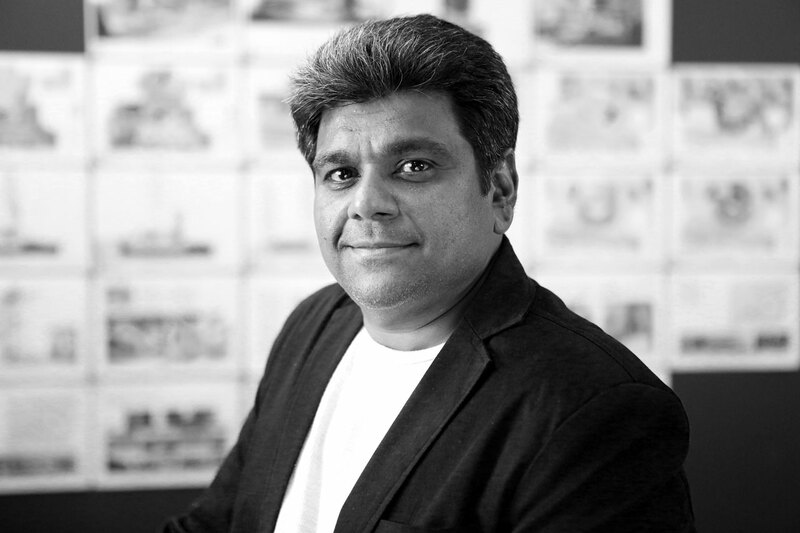 Pictured: Director of Cottee Parker Architects, Naveen Dath. 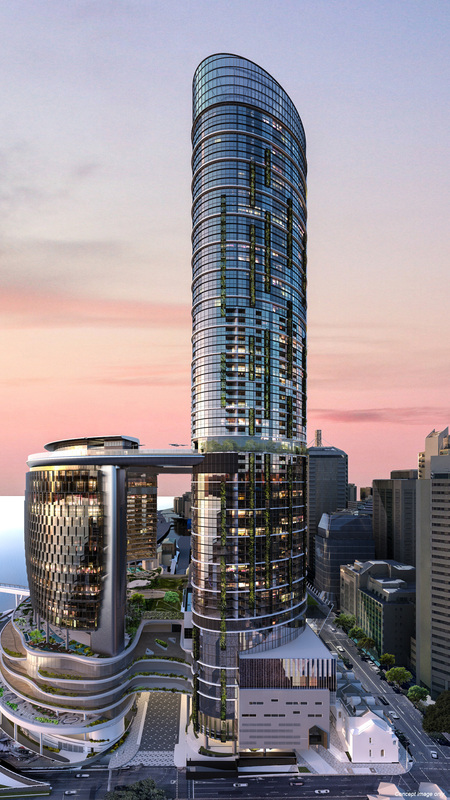 A feature Sky Deck, 30 storeys above the water, will offer breathtaking 360 degree views of Brisbane. "It will provide a lively and exciting public space activated by bars, cafes, restaurants, and a thrilling glass-floor viewing deck experience," Mr Dath said. 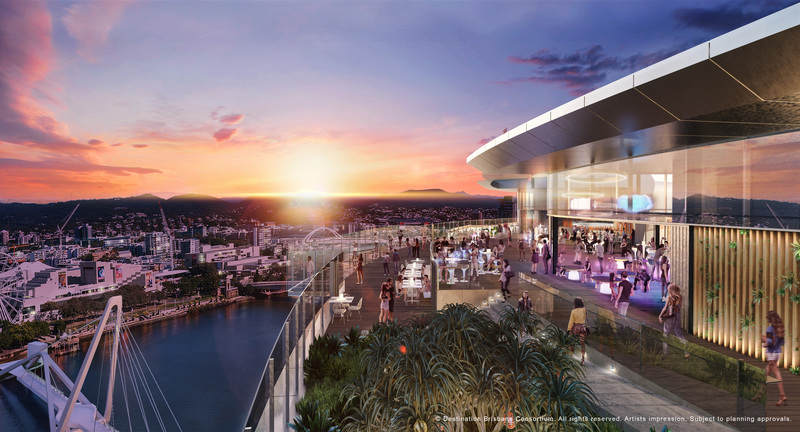 "As perhaps, one of the largest public rooftops in the southern hemisphere, the Sky Deck will become a destination in its own right for locals and visitors to enjoy, entertain and celebrate everything unique about Brisbane." Mr Dath says the aspiration for Queen's Wharf is to "create a globally significant destination - but one that celebrates Brisbane." "This is reflected in the striking, contemporary architecture of the development that portrays an international appeal that will further project Brisbane as a New World City. The iconic composition of the development will create a bold contrast on the Brisbane skyline, providing several picture-postcard and Instagrammable moments for the city." "The architecture will utilise integrated façade greenery as a visible expression of sub-tropicality to infuse the development with a “sense of Brisbane”. A key element of the design has been the creation of a porous ground plane that will allow seamless journeys and experiences from George Street down to the Brisbane River and SouthBank, ensuring that the development is distinctly about Brisbane and our connections to the River," Mr Dath said. Mr Dath says celebrating Brisbane's unique sub-tropical lifestyle is a fundamental driver behind Cottee Parker's architectural vision for Queen's Wharf. "Inspired by the local Queensland vernacular, the design will provide a variety of verandahs, balconies, terraces and plaza spaces allowing people to seamlessly transition between inside and outside to experience our informal sub-tropical lifestyle. "Shade and protection from the elements utilising awnings, screens, pergolas, trees and landscape are integral to the architecture. Green walls, trellises and integrated façade greenery will be utilised to infuse a visible expression of Brisbane’s sub-tropicality into the development," Mr Dath said. Located on a historic stretch of the Brisbane river, Queen's Wharf will include restored and revitalised heritage buildings, which will reopen to the general public after being off limits in recent years. "The precinct provides a unique setting of heritage listed buildings that talk to the birth and early growth of Brisbane from a penal colony to a thriving New World city. The design of the development respects and responds to this unique opportunity to integrate, repurpose, and breathe new life into these historical buildings," Mr Dath said. Mr Dath says they will seamlessly blend the old with the new. "Although modern and contemporary, at street level the architecture is humble and refined, providing a cohesive streetscape that maintains the prominence of the existing heritage buildings. The deliberate dialogue between old and new, heritage and modern is one of respectful contrast that enhances and celebrates this unique historical context," Mr Dath said.